We are a team specialising in film and motion graphics, our aim is to deliver unique visual fx, which are sure to impress your clients. 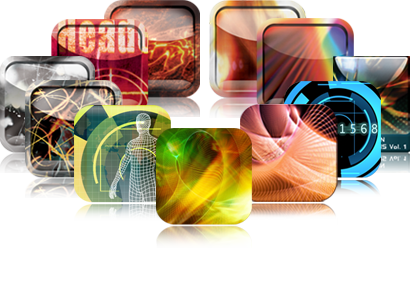 With users ranging from the film, music, sports and advertising industries the world over, as well as film and audio visual passionate users of various level of experience, our plugins as well as our unique alpha transitions offer easy to use striking effects, mographs and transitions for adding that extra touch to your project. Luca Visual Fx now offers a range of music and sound products too. We design these music and SFX packs specifically (but not exclusively) for video-editors and film-makers. The first product that we are releasing is Mystery & Suspense. Our aim is to provide thousands of music tracks and SFX at very affordable price, which editors and film-makers can use either on their own or combined into original, custom scores. Our sounds products can indeed be used in commercial projects. Should you wish to suggest ideas for future packs please email us, we'll be happy to take on board your suggestions. We regularly release new and cutting-edge GPU accelerated plug-ins, all coming with their respective FX Templates for FCP X. Ranging from vintage and grunge effects to very modern, high tech and complex Motion Graphics all designed to add a stylish touch to your project. Our plug-ins are compatible with Final Cut Pro (7 & 10), Motion, Premiere Pro 6.0 and After Effects. Take a look at our unique plugin solutions below. You can watch demo videos of all our products in our Video Gallery or find out more about each product by visiting the Plugins page or the Manuals page where you can download instructions. At LVFX we create outstanding effects and transitions that are easy to apply to projects. Alpha Transitions & Overlays are versatile, 'clip ready' effects and transitions for PC and Mac. Combined, these packs offer hundreds of different and customizable individual effects and transitions with transparency included that can enhance the look and feel of a given video project. 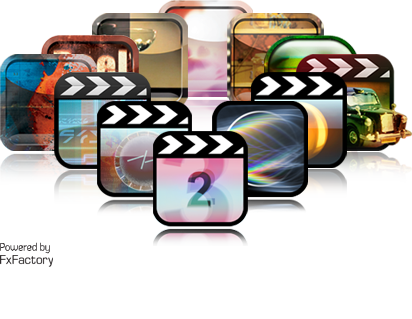 These include light leaks, dirt and scratches, leaders and countdowns, film roll fx, high tech overlays and a lot more. You can watch demo videos and tutorials in our Video Gallery or find out more about each product by visiting the Alpha Transitions page or the Manuals page where you can download instructions and free demo clips. The current date and time is Tue 23rd April 2019 :: 02:11:21 at Luca Visual FX Studio in London.